This is a photograph of the first Atchison, Topeka & Santa Fe Railway office in Atchison, Kansas. The office was likely in the station on 6th Street, east side of the viaduct. 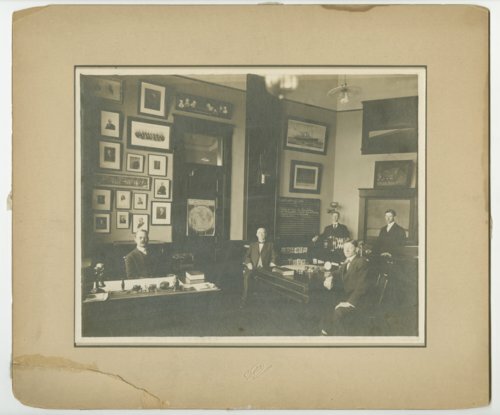 Mr. Rathburn is seated at the desk on the left.